Hatha 2 – Suitable for students who have done yoga for a year or two and want to develop a stronger all around practice. We will also do inversions in this class, and there are always options. 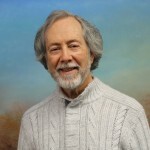 Gary Kraftsow studied for about ten years with Krishnamacharya and his son, Desikachar. They then told him he was to complete his studies in anatomy and physiology at the University. Gary remembers saying, “I don’t want to teach science I want to teach yoga.” He was told it was his path to combine the science of the West with their teachings of yoga. 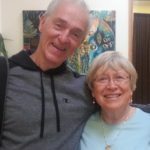 Gary Kraftsow has written two books about Viniyoga.. The first book, “Yoga for Wellness”, is a summary of case histories for various conditions. The second book, “Yoga for Transformation”, by Gary Kraftsow emphasizes the deeper meditative aspects of yoga. The focus of Viniyoga is to respect each unique individual and fit the yoga practice to the individual. The structure of each person is unique and this unique structure is further amplified by our life experiences. For example, some people have flat upper backs and some have rounded upper backs, so poses that emphasize that part of the back will be adapted for each pose, so each person will benefit. The practice of Viniyoga helps you to discover yourself. Viniyoga encourages you to feel the movement of the body as you explore the benefit of the experience. The repeated movement in and out of poses allows the body to “warm up to the experience” and DISCOVER new ways of being present with the pose. Repeated movements also benefit by increasing circulation into specific areas of the body. In addition to repeated movements there are a variety of ways to hold the body in the pose to experience additional benefits of opening and relaxing our body. Viniyoga provides numerous experiences of each pose. Breath is an integral part of Viniyoga. The experience of the body is affected by the length of the breath while moving in and out of the pose and holding the pose for a specific number of breaths. Learning to be present with the breath brings focus to the practice and is calming to the mind. Many students report a sense of serenity and peace after the practice. Keeping the mind focused on the breath can reduce stress. Viniyoga adapts the breath to fit your specific needs. Breath is an integral part of Viniyoga. We hope you will be interested in exploring the benefits of Viniyoga!!! $10 per class. New students, first class is free. 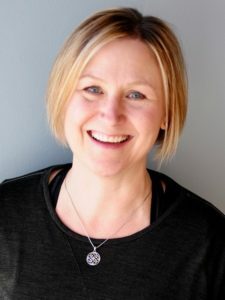 Hatha & Aging Well Yoga Classes This Hatha Yoga class incorporates physical postures, breathing practices, and short meditations to harness the relaxation and emotional benefits of yoga. Each class sequence is unique and created to improve balance, strength, mobility, and executive function of the brain. 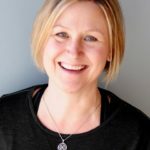 This class is great for those who may not move the way they used to, are recovering from an injury or long term ailment, haven’t really established an exercise or movement practice, or just wants to move in the body you have today. This class is gentle yet challenging. Appropriate for all fitness levels, beginners and experienced yogis alike. Yin & Aging Well Yoga Classes This Yin yoga class aims to create space in your body. It does wonders for joint health, flexibility, circulation and mental focus, and harnesses the relaxation and emotional benefits of yoga. This class aims to deepen awareness and target deep connective tissue not typically not accessed through more active practices &/or lifestyles. This practice will teach you to listen to your body. Each class sequence is unique and created to be slow-paced. It’s practiced on the mat, either lying down or seated, and primarily targets the hips, pelvis, and spine. Postures are held for extended duration (anywhere from 3 to 8 minutes), while deepening the flexibility and elasticity of your connective tissues, bringing in more mobility and lubrication to stiff joints, and softening of stiff muscle tissue. This yin yoga class incorporates into its practice breathing techniques and short mediations. Appropriate for all fitness levels, beginners and experienced yogis alike.